We got started early, some leaving their countries as early as midnight to make it to the meet-ups on time. We tasted a lot of delicious wine, ate Istrian specialties, took lots of photos, reviewed many places, formed new friendships with local guides and business owners, and just had a grand time. These three wineries give a different flavor of the wineries in Istria: Kabola has a long history of winemaking; Deklic is a favorite supplier to many restaurants in the regions; and Roxanich wines are just unique (you have to try them to experience the unique taste of their wines). Wine was great, views were amazing, and we got to meet the wonderful Istrian wine makers! Rovinj is Istria's most popular tourist destination and rightfully so. We started the Rovinj meet-up with coffee at a local restaurant by the water. We then walked up the historic streets to Cathedral of St. Euphemia built in Venetian Baroque at the beginning of 18th Century. We then walked down to the other side of Rovinj, stopping at many places along the way. Next stop was Zlatni Rt. (Golden Cape) for cool shade in the woods, pristine swimming spots, and amazing views. Which was more memorable: Istrian wineries or Rovinj? Both, if you ask me. +AureaiSland ® and others agree. 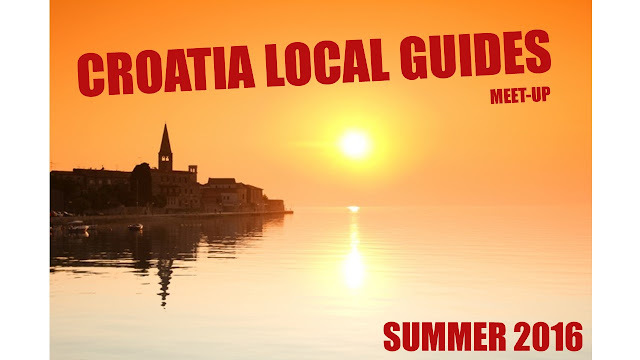 We're looking forward to the next Croatia +Google Local Guides meet-up. Let us know in the comments where it should be.